How do microbiologists see the world? 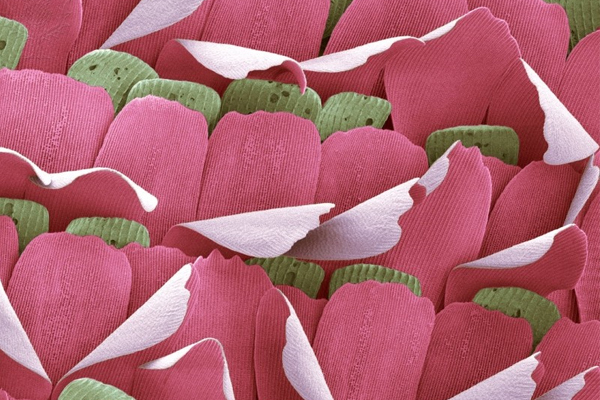 What does a butterfly wing look like magnified 200 times? What is a Confocal Microscope? 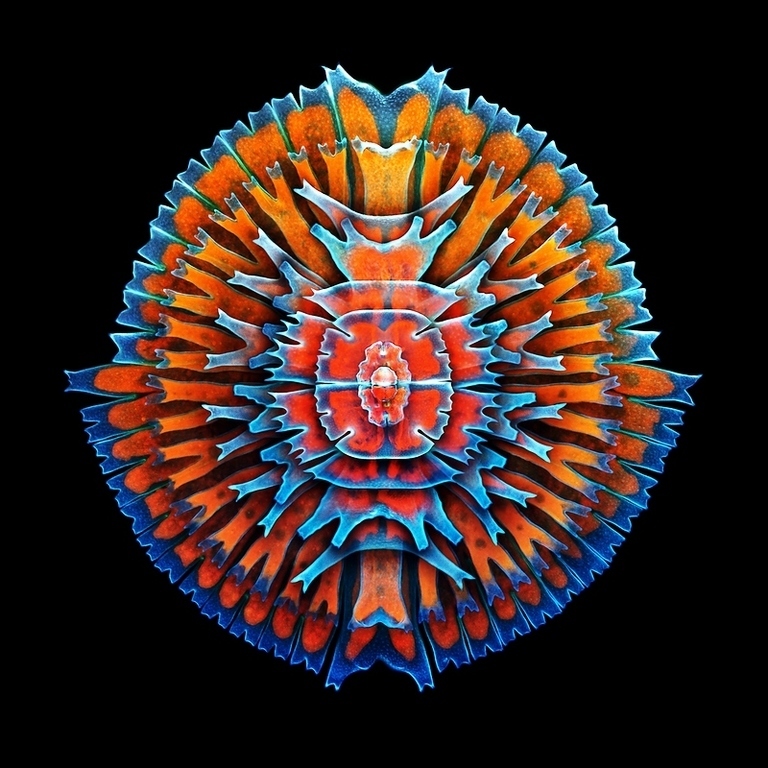 Britannica ImageQuest throws a new perspective on the mundane with our microscopy collection. You can use these rights-cleared images for your lessons, educational projects or posters. This meteorite is the type specimen of the Lodranite meteorites. 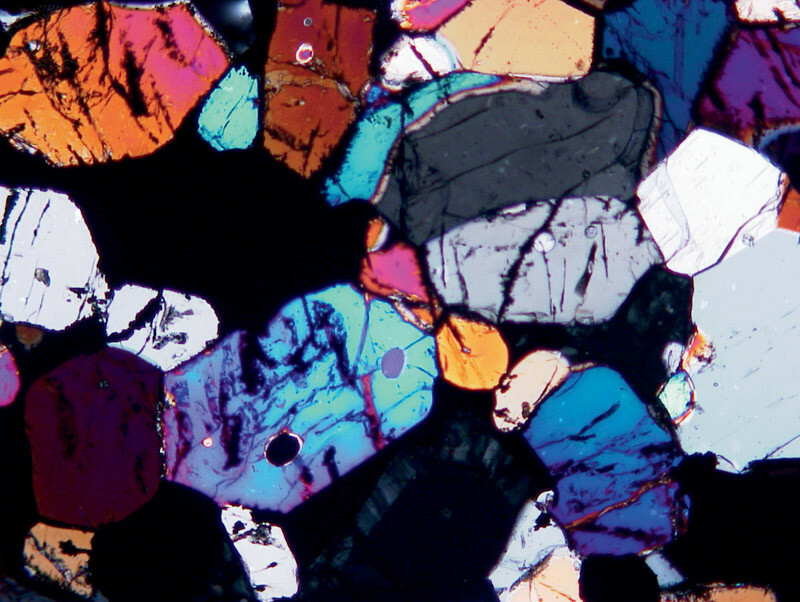 The Lodranites are related to the Acaplucoites but are more course-grained. Field of view is 2.5mm across. A fluorescence microscope is an optical microscope that uses fluorescence and phosphorescence instead of, or in addition to, reflection and absorption - as used by normal light microscopes. 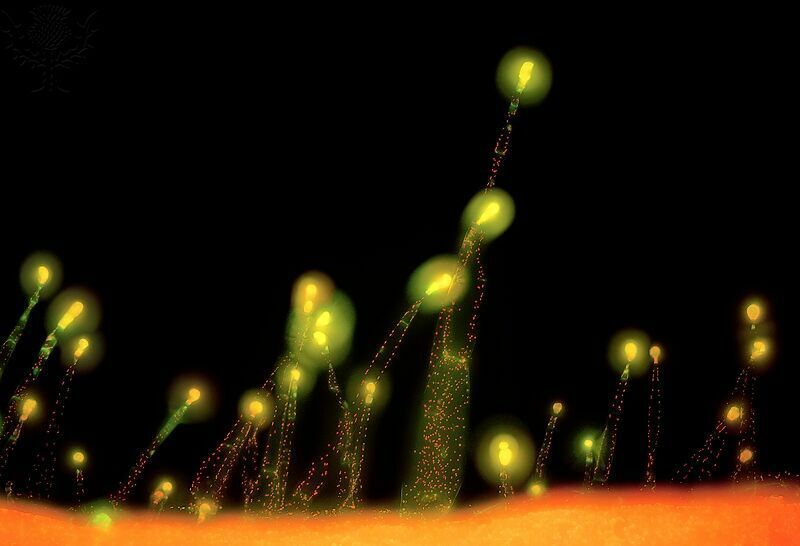 Mycorrhizza refers to an intimate and symbiotic association between the branched, tubular filaments (hyphae) of a fungus and the roots of higher plants. What can you notice about the cell walls in this image? 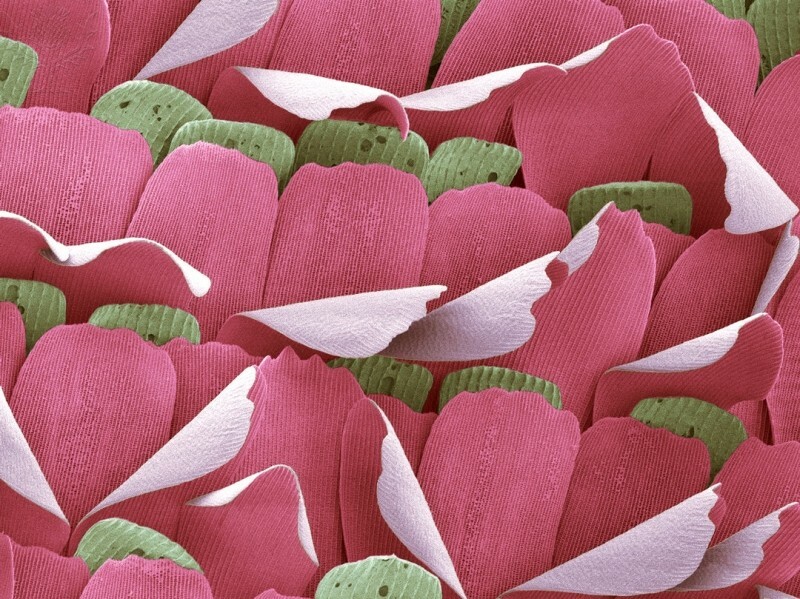 A butterfly wing is covered in many tiny scales. 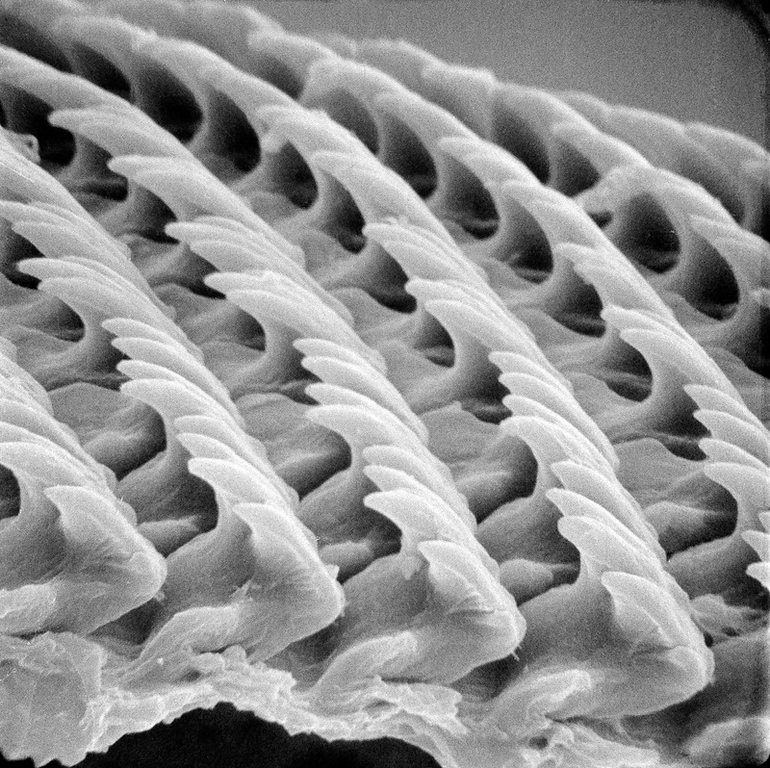 The scales are modified hairs made of chitin, a common substance in insect exoskeletons. The iridescence of the colours of a butterfly's wings is produced by the diffraction of light by the microscopic structure of these scales. Snails chiefly feed on plant material, but have you ever wondered how they shred and eat their food? Confocal microscopy’s main feature is that only what is in focus is detected, and anything out of focus appears as black, making it particularly useful for studying the fine and three-dimensional structures of biological specimens. 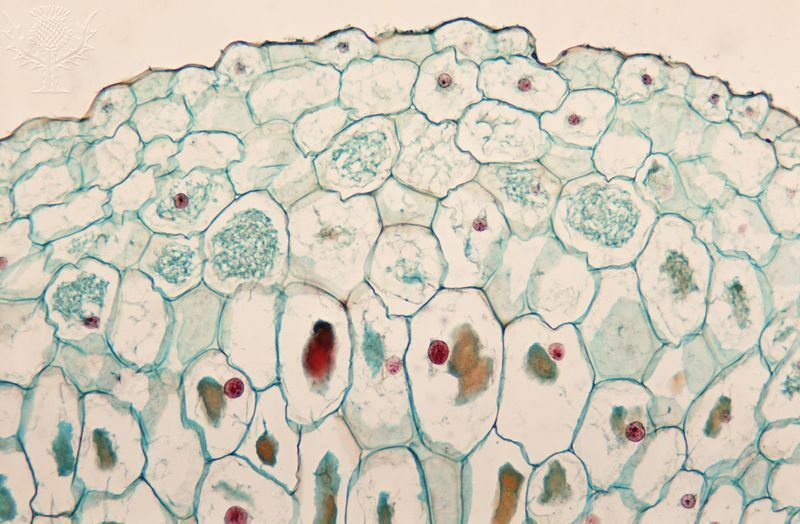 What differences can you notice between this image and the one of Mycorrhizza in plant root cells?